Make a statement with your morning cup of joe! 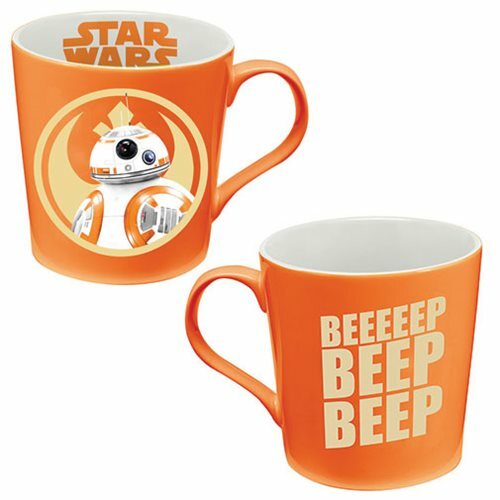 Made of high-quality stoneware, this bold mug is white and orange while featuring droid BB-8 of Star Wars The Force Awakens on one side and "Star Wars" on the mug's interior. Packaged in a full-color gift box, the Star Wars Rey 12 oz. Ceramic Mug is dishwasher and microwave safe. Beep, beep! Ages 13 and up.